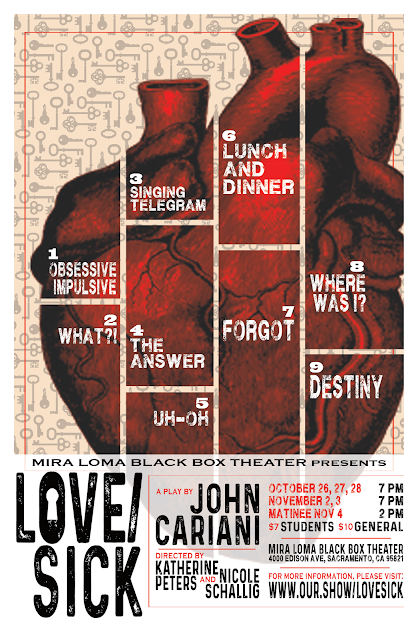 Aaaaaand it's time for another poster for the Mira Loma Black Box Theater! Love/Sick is a play about love in nine parts, chronicling the arc of a relationship, from a first meeting to a divorce, with nine different relationships. In the nine years we've worked together, I've gotten to create designs for Waiting For Godot, She Creatures, A Midsummer Night's Dream, and All In The Timing. Click on "Show Posters" on the right to view more.